I had the same issue “Unexpected or abnormal exit of child process” and this suggestion worked like a charm. I am puzzled though, as I cannot explain to myself why this would make such a difference. Seeing as how you suggested it, can you (or anyone else for that matter) provide a (short) explanation of why altering row and column specs makes a difference to SNAPHU? I believe it is a thing of adding up the cumulative phase values. If snaphu operates in these tiles, maybe the tile boundary is not suitable for the algorithm to start or end. But I’m not experienced enough to tell the exact reason. How can you perform step of snaphu exporting and unwarping? Is it nessecary to install linux? no, the latest version of snaphu is windows compatible and standalone. Hi dear,can you pls explain me, how did you perform unwarping using windows? Can i perform snaphue exporting without using linux? Hi dear,could you pls, explain to me,how did you do unwarping on linux? You do not need linux, you can run snaphu directly in windows. I used Linux virtual in my windows. open page 29 - 34. I’m having the same problem. Did you get any solution? you can decrease the tile number in the conf file and run again. I am working with RADARSAT 2 data and while trying to unwrap the phase it’s unable to read the snaphu.conf file when I copied and pasted the snaphu call command. What should I do ? I am doing it on VM player for windows. what happens when you insert and execute the command? Did you see that snaphu v1.4.2 is now Windows compatible and you no longer need a virtual machine? p[quote=“ABraun, post:12, topic:4828”] The latest version of snaphu is standalone and already compiled. http://step.esa.int/main/new-release-of-snaphu-1-4-2-is-available/ [/quote] please read carefully - snaphu 1.4.2. is already installed when you download it. “Compiled” means that windows can use it as it is. 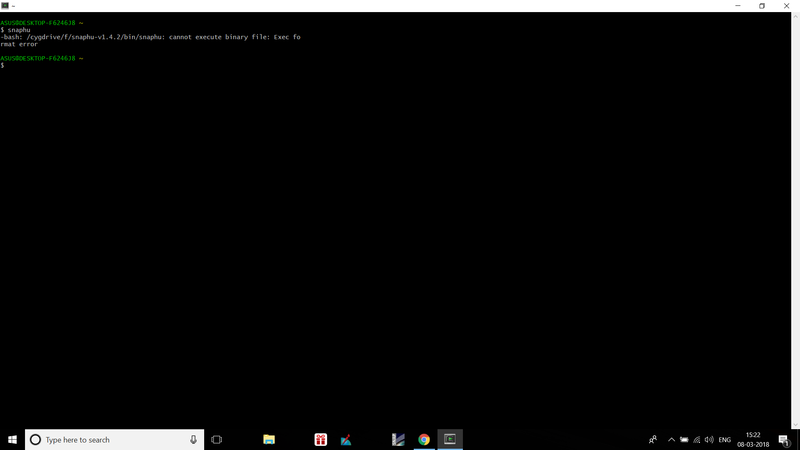 you don’t need cygwin any longer when you are using snaphu 1.4.2.